This scheme gave the entry emphasis with a 1 1/2 story tall space at the entry, including a gable with clerestory window above the door. A deep overhang on the high roof provides weather protection and shading. The dining room window is centered in the dining room space. 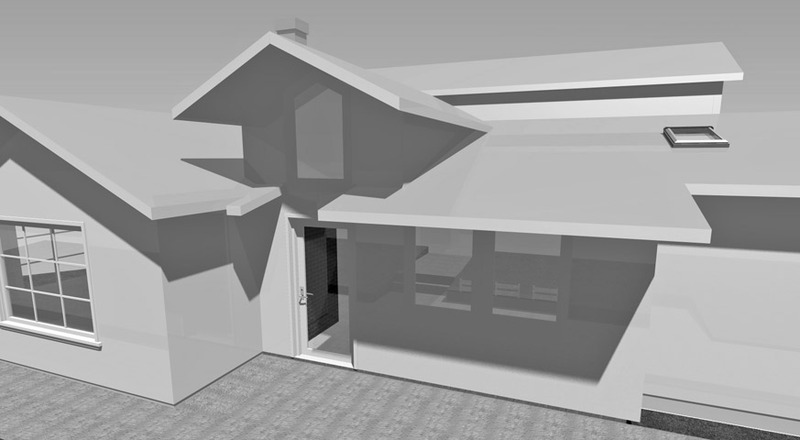 The final design reflected the raised roof over the entry concept from this scheme.